Babuyan Claro (Mt. Pangasun) is the largest and second youngest of 5 volcanoes that built up Babuyan Island, 100 km off the north coast of Luzon, Philippines. 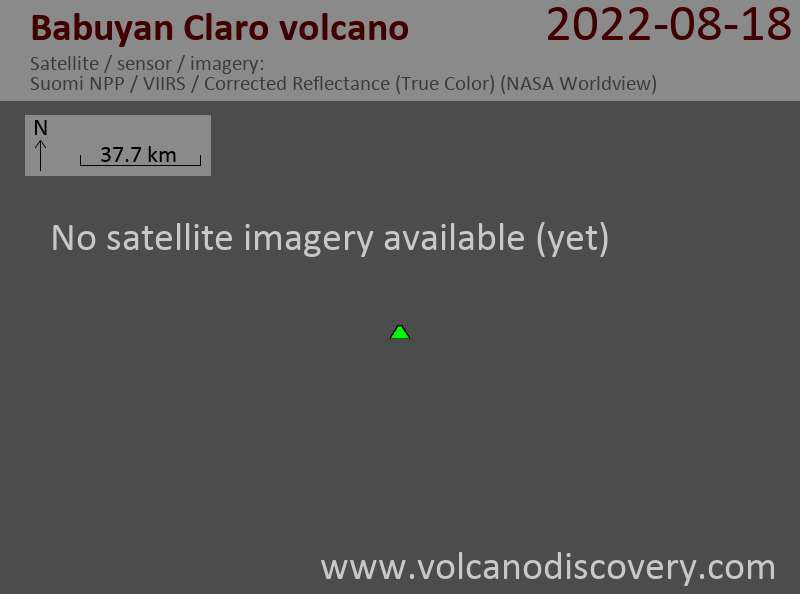 Babuyan Claro is an active stratovolcano of ca. 7 cubic km volume and has 2 summit craters of 300 and 400 m in diameter. Smith volcano (Mt. Babuyan) 4 km to the NW of Babuyan Claro is the youngest volcano on the island and forms a beautiful 668 m high symmetrical basaltic-andesite cinder cone with ca. 3 cubic km volume. 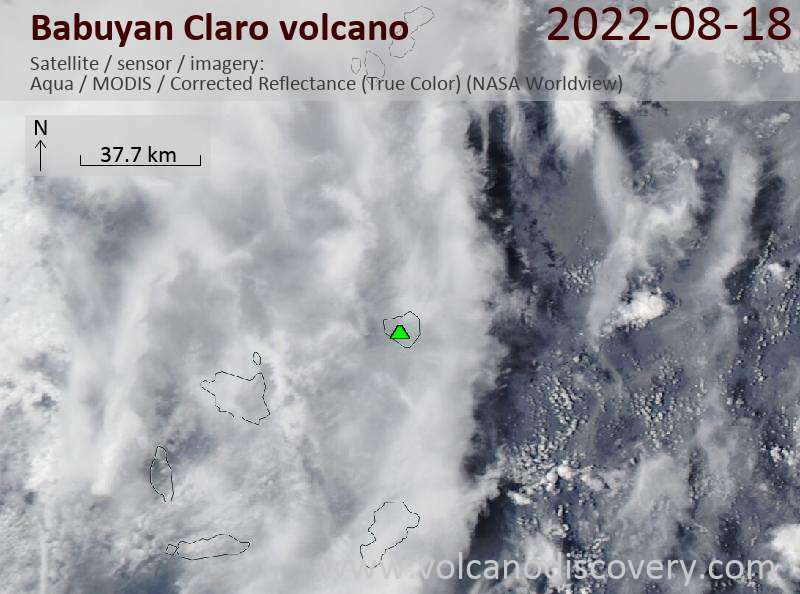 Both Babuyan Claro and Smith volcanoes have apparently been active in historical time, although it is not always certain which volcano erupted. Eruptions at Babuyan Claro are typically strombolian and/or phreatomagmatic. The Askedna Hot Spring is located at the southern base of Babuyan Claro.